As the people on the west coast of Ireland try to pick themselves up after record high winds mated with exceedingly high tides to wreak havoc on the coastline and their homes, residents of the Lower 48 in America tell Alaska to take back its weather; they don’t want it. 2014 has certainly arrived kicking and screaming, begging to be noticed. While the months ahead unfold like a ream of blank paper just waiting to be written on, I wonder what’s in store for the world. Will the unthinkable happen in Budapest? 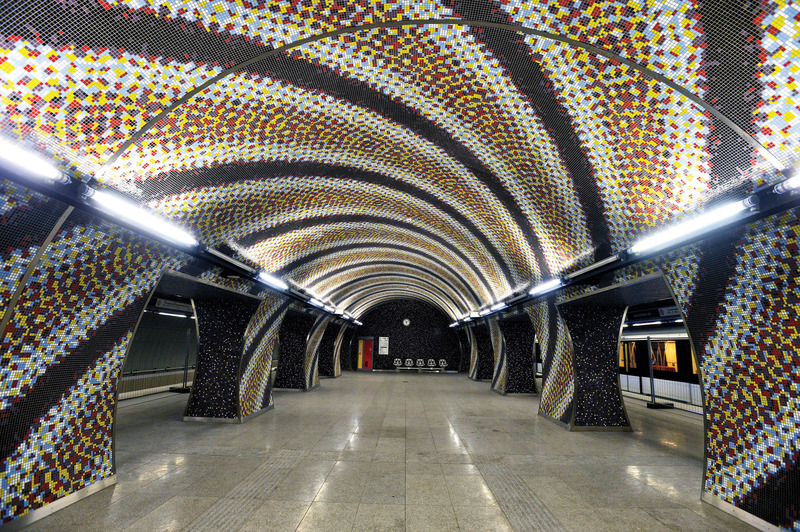 Will the renovation of Kossuth Lajos tér finish this year? Will the long-awaited Metro 4 finally open? (the picture below is of the already completed Szent Gellért tér station of the capital’s fourth subway line) Will the elections cough up some viable opposition? Will the anti-Semitism that is raging through the region stick its ugly head back in the sand as we finally learn the true meaning of tolerance? Will Pope Francis allow priests to marry? Will the religious of this world remember what’s at the heart of their God’s teachings? Will each of us look after our own few square metres of the world, disregarding what’s going on around us? Will we continue to spend millions on stuff we don’t need, can’t consume and really only buy to satisfy a latent greed? Will we distance ourselves from politics and decline to advocate for good causes? Will we fail to love our neighbour (or at least be civil to them)? Will we give up on relationships before they’ve run out of road just because it’s not worth the hassle to do otherwise? Will we continue to rack up virtual friends, spending more and more time with them at the expense of face time we could have with real ones? Will our kids immerse themselves in video games instead of books? Will we continue to ignore the paradox of rampant obesity and pervasive hunger? No matter how resolute we are in not making resolutions, I think we’re hardwired to see January as a fresh start, a new beginning. We might never verbalise the hopes and dreams that languish in our hearts lest they come to nothing, but they’re there, despite our misgivings. So why not embrace them for all they’re worth. As Oprah Winfrey might say: Cheers to a new year and another chance for us to get it right.